DNA Necklace under a microscope! 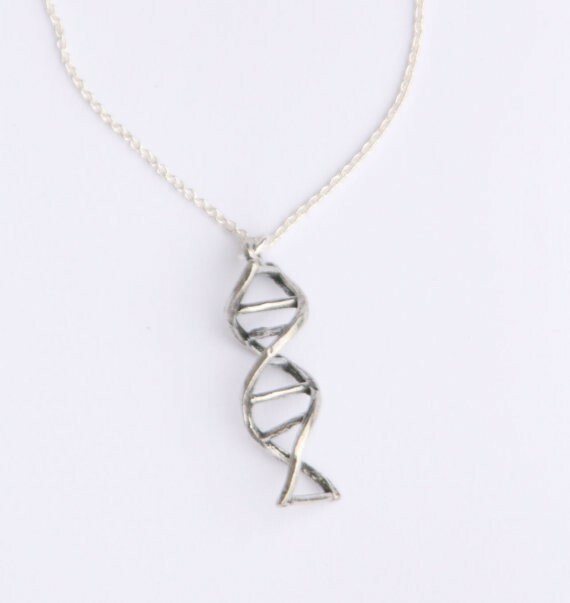 Our DNA necklace features a helix design that is approximately 1 inch in height. It hangs from a sterling silver chain that is 16-18 inches in length. 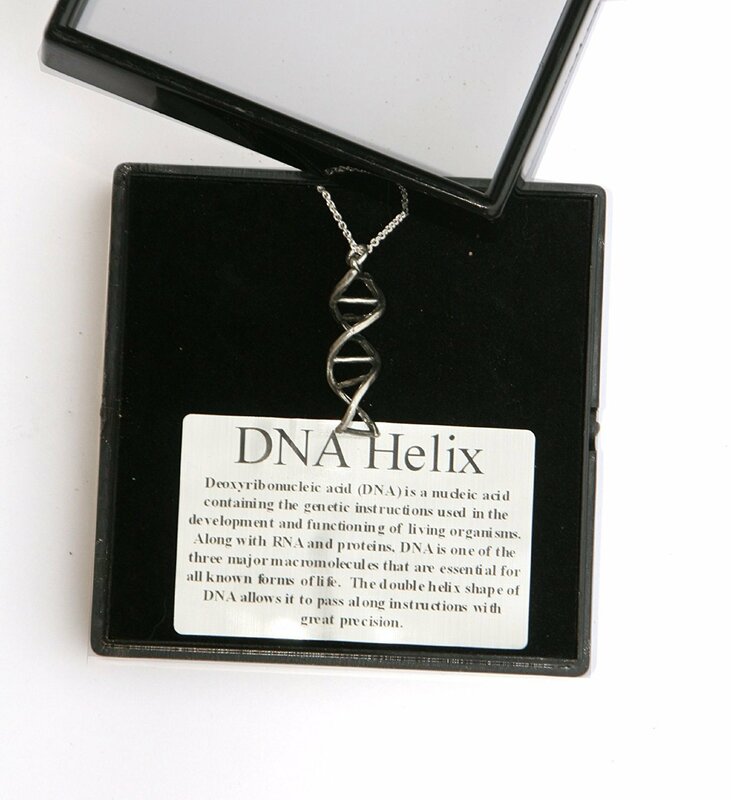 We have the helix design in lead-free, safe pewter and sterling silver. The necklace comes packaged in an elegant black glass topped box. DNA helix approximately 1 inch in height. 16-18 inch sterling silver chain. The helix design in lead-free, safe pewter and sterling silver. Sterling silver chain.